I watched this movie for the second time last year and it didn't deviate much from what I had remembered: the first movie was better. 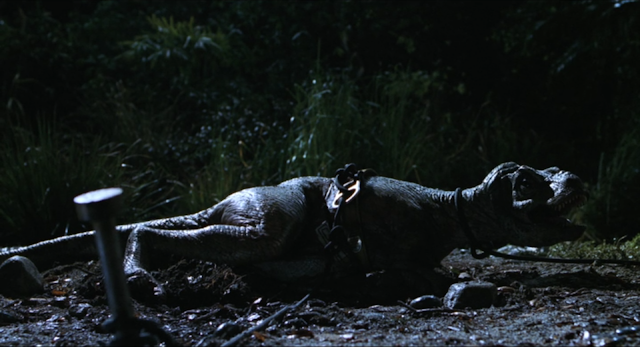 A baby T-Rex is trapped and wounded. With that being said, I can't think of any live-action movies with dinosaurs outside of the Jurassic Park series, so if you need to fill your dinosaur-watching desires, this movie is worth watching at least once.